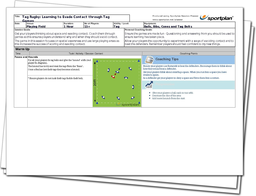 The aim of this fun tag-games session is to get your players thinking about space and how to use it to evade contact. We use simple to set-up games in this session focus on spatial awareness, using large playing areas to increases the success of scoring and evading contact for your attackers. It's not fun without function though. 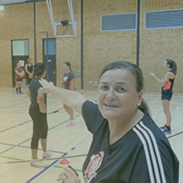 The learning points for this session, such as using footwork, passing and teamwork, are taught through games as this ensures players understand when and why they should avoid contact. All this improvement whilst having fun, use this session today and reap the rewards!